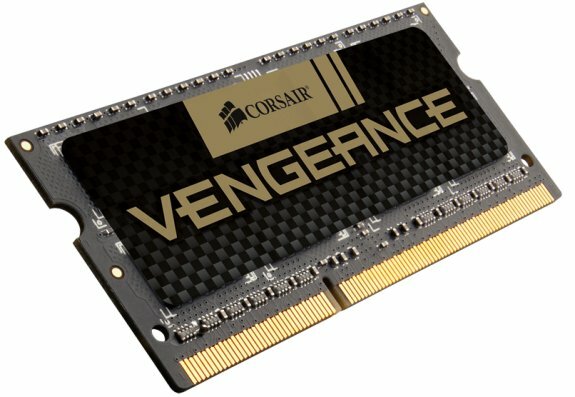 Corsair introduced Vengeance laptop memory upgrades. Corsair®, a worldwide designer and supplier of high-performance components to the PC gaming hardware market, today announced a line of high-performance memory upgrade kits for power laptop users. The new Vengeance high-performance memory upgrade kits for laptops are designed to work with any PC or notebook which accepts standard DDR3 SODIMMs, and are backward compatible with notebooks and laptops which use first-generation Intel Core i5 and Core i7 processors. Even on older notebooks, customers can still take advantage of the ability to upgrade to 8GB of memory using only two memory slots, and enjoy the confidence of Corsair's renowned service and support. "As more complex applications and games are available in the market, many laptop users are looking for an easy way to improve their system performance in order to have the best experience." said Thi La, Vice President of Memory Products at Corsair. "Our new Vengeance high-performance laptop memory kits allow performance-minded customers to boost their memory performance and capacity in an instant."